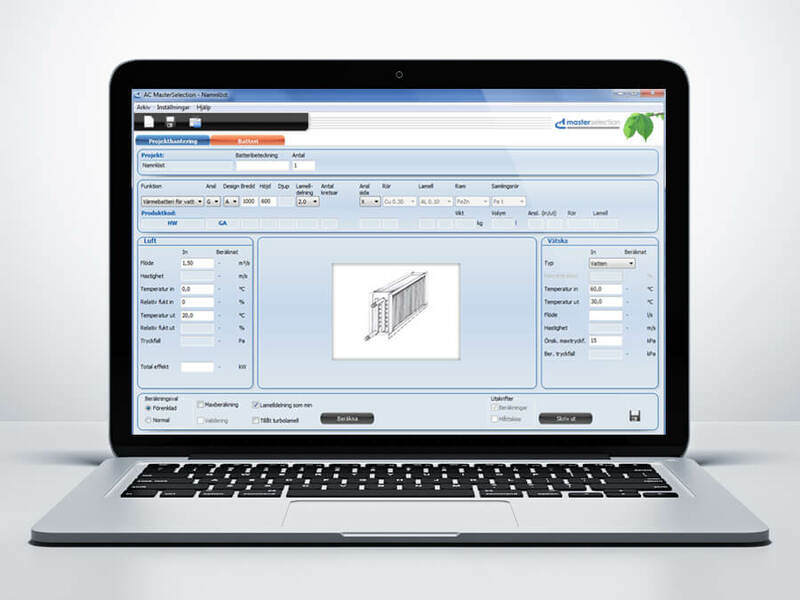 Elecosoft has been entrusted to develop Aircoils battery selection program, the AC Master Selection, with the ability to calculate, design and calculate price for a heat exchanger that fits the customer’s needs. The program is constantly evolving to meet market expectations and requirements. Aircoil AB a customer within the area of customer-specific software development. The company is a purely sale company for fans, coils and other heat exchange products. Lars-Olov Strömner, CEO of Aircoil says that the choice of Elecosoft as a partner was due Elecosofts reputation as an industry expert. – We are very pleased with Elecosoft because they have the ability to quickly gain an understanding of the problem and understand what we want out of the program. This has given us an important competitive advantage, says Lars-Olov Strömner. Business: Aircoil is a purely sale company for fans, coils and other heat exchange products.